Christmas Gift Giving Traditions can make holiday gift giving a lot less stressful for large families and co-workers. Try any of these gift giving rules and Christmas gift exchange ideas with your family, friends, or co-workers to keep the peace in your home, school, or workplace this Holiday Season. Implementing a gift rule or gift giving tradition can make holiday gift giving a lot less stressful for large families and co-workers. Gift giving rules and gift exchanges also make sense for families that live great distances from each other. A Christmas gift exchange also makes it a lot easier on family members and friends with a smaller Christmas budget to participate in holiday gift giving. Christmas gift exchanges and gift-giving traditions can also lessen the impact that Christmas has on our children’s mental health and wellbeing. Too many gifts breed dissatisfaction and entitlement. Keep everyone happy and healthy with these fun Christmas gift exchange ideas! Feel free to mix and match, or create your own Christmas gift-giving tradition from the Christmas gift exchange ideas below. The classic four gift rule is: “Something you want, something you need, something to wear, and something to read.” This Christmas gift giving tradition is common in families with children. In this case, the parents usually give each child one gift to represent each of the four rules. In other words, each child in the house is given something they want, something they need, something to wear, and something to read. For gift giving ideas have a look at the Rhythms of Play Store and our gift guide for Children. The second hand or handmade Christmas gift giving tradition is where gifts are only allowed to be purchased at second-hand stores or handmade by the gifter or an artisan. You can do both if your feeling crafty! You can find wonderful gifts second hand at thrift stores, garage sales, craigslist, or in your own giveaway box. Purchase an item second-hand and upcycle it for a double whammy second-hand homemade gift! Check out our Gift Guide for homemade gift ideas both adults and kids can make. The idea is to give family members things they’d like to do, such as classes or trips, instead of gifting them with more stuff they don’t need. Experiences instead of things can be given to each person, a couple, the kids, the parents, or the whole family. Just make sure everyone is gifted with an experience to enjoy and you are good to go! Tickets to an event, show, or amusement park. Spa treatment or spa day. The gift of a vacation or trip. This Christmas gift exchange is perfect for large families, schoolmates, large groups of friends, and co-workers. The Secret Santa gift-giving tradition is when each person picks another person name out of a hat. You become the Secret Santa for the person that you pick, and don’t know who your Secret Santa is until they reveal themselves on gift giving day. 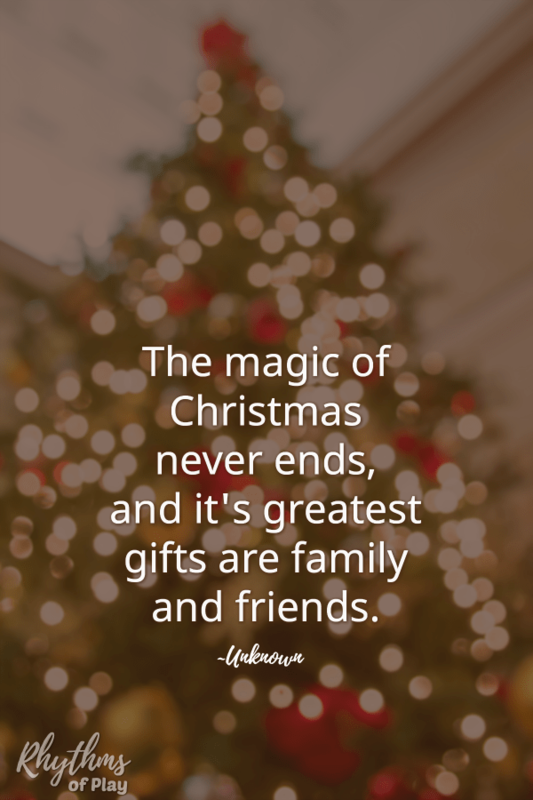 Some families and co-workers draw a name out of the hat on or after Christmas Day and agree to give and send secret gifts to this family member throughout the year (birthday, Easter, Valentine’s Day, etc) with one final gift and revel on Christmas Day. Other families and co-workers agree to spend under a specified amount on a gift given on Christmas. “The White Elephant game has many names, variations, and rulesets associated with it. Some are super simple, while others confusingly elaborate.” Check out the official white elephant gift exchange rules HERE. If you are tired of the White Elephant gift exchange game, give one of these 11 fun and creative Christmas gift exchange game Ideas over on Play. Party. Plan a try this year. 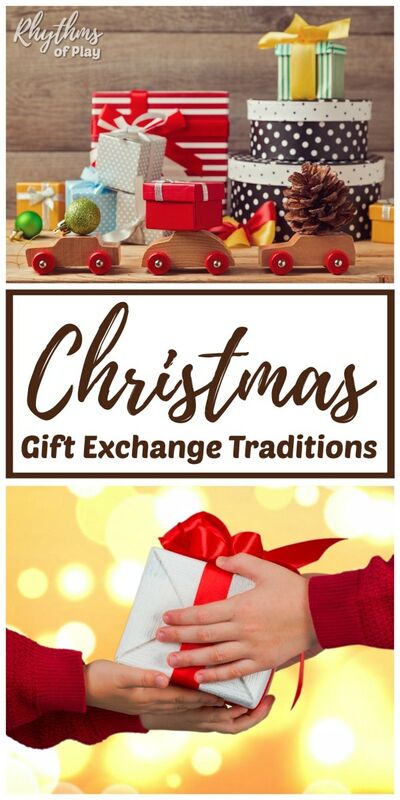 Learn more about the Jolabokaflod Christmas gift tradition HERE and in 30 Fun Christmas Traditions for a Magical Holiday! Invite each member of the family to find something to put in everyone’s stocking, or combine this tradition with the Secret Santa gift exchange for even more fun. Simply draw names out of a stocking on Christmas day to learn who’s stocking you will need to fill next year! 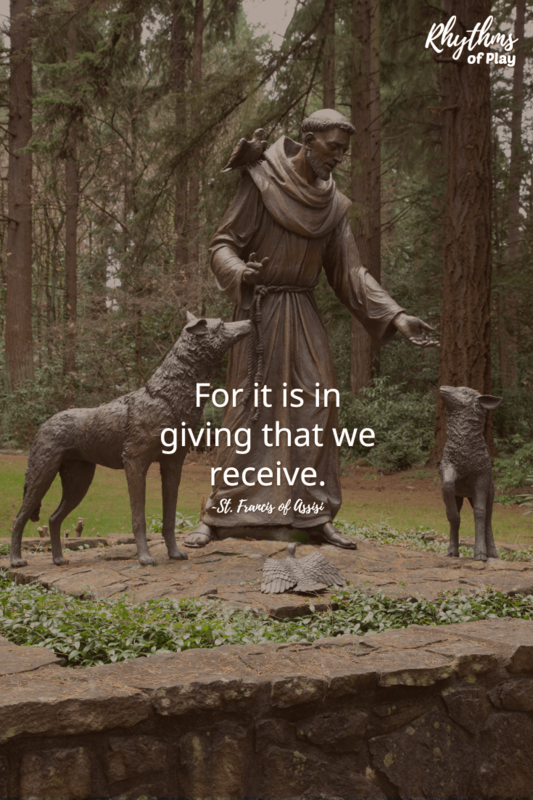 This Christmas gift giving tradition is a lovely way to teach our children to give in order to receive. Gift each person in the house a Santa Sack sometime before Christmas. We like to get ours out during the Thanksgiving holiday weekend. Have everyone fill their Santa Sacks up with items they’d like to give to those in need and place it under the tree on Christmas Eve. Santa will empty the donations, hide them somewhere to be donated later, and fill the sacks up with gifts for each person that filled a Santa Sack. If you have a gift that is too big to fit into a Santa sack, have them open a box with the start of a scavenger hunt tucked inside so they have to hunt for their gift! Store your Santa Sacks in the Christmas box to use again next year. Start a Christmas Gift Exchange or Gift Giving Tradition This Year! 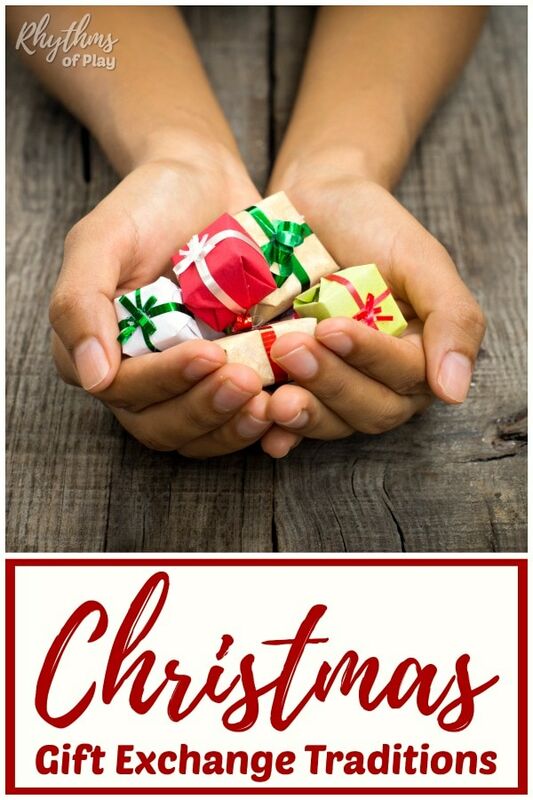 Try of these Christmas gift giving exchange ideas with your family, friends, or co-workers to keep the peace in your home, school, or workplace this Christmas. Feel free to mix and match, or create your own Christmas gift exchange from the ideas listed above. As an example, you can combine the second-hand or handmade rule with the secret Santa gift giving tradition. Another idea is to combine the four gift rule with a family experience gift. If the children are teenagers, the parents can be in charge of getting the four gifts for the children, while the teens can gift the whole family with an experience to enjoy together, or an experience just for mom and dad… You get the idea! Remember, Christmas gift giving traditions are supposed to take the stress out of Christmas gift giving. If the Christmas tradition becomes a stressor, don’t do it. If it’s not fun for everyone to have a Christmas gift exchange, it isn’t worth it! Have a look at our ultimate family gift guide with DIY and ready-made ideas for everyone on your list. In it, we share all of our favorite homemade gift ideas and readymade ideas you can buy with the click of a button. You can find even more ideas in the Rhythms of Play Store. Next, head over to have a look at 30 fun family Christmas traditions that make the holiday’s magical. You may also like our winter bucket list for more seasonal ideas to enjoy with your loved ones. I loved this post! Thank you for sharing. I also loved your ultimate gift guide roundup! Coming up with creative gifts for everyone on your list can be difficult and stressful. Thanks for doing your best to make Christmas a little easier and less overwhelming. Thanks again!